New set of rubber tailgate drains with steel supports for 69-77 Ford Broncos. These weatherstrip drains mount to the upper inside of the tailgate to ensure that any water that may seep through the upper liftgate is channeled out of the Bronco through the sides of the tailgate as it drains. The steel supports screw on to add rigidity to the drains. 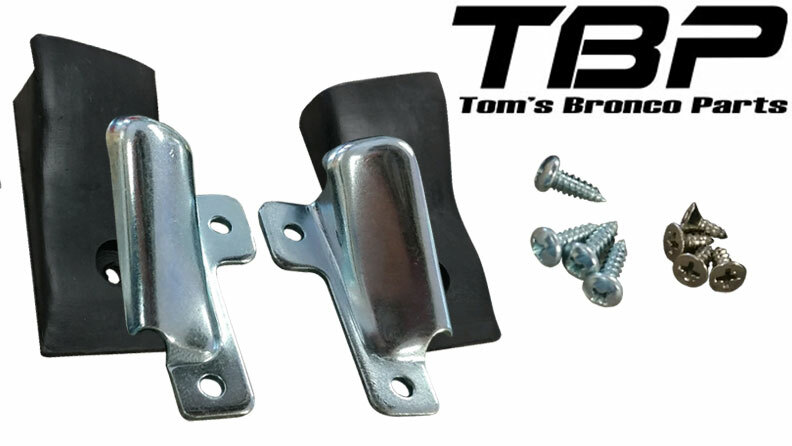 This kit does both sides of the tailgate and includes screws for drains and for supports.